A character drama and serious romance set against a mammoth natural disaster, The Rains Came offers excellent special effects, powerful emotions, and memorable characters in an exotic location. 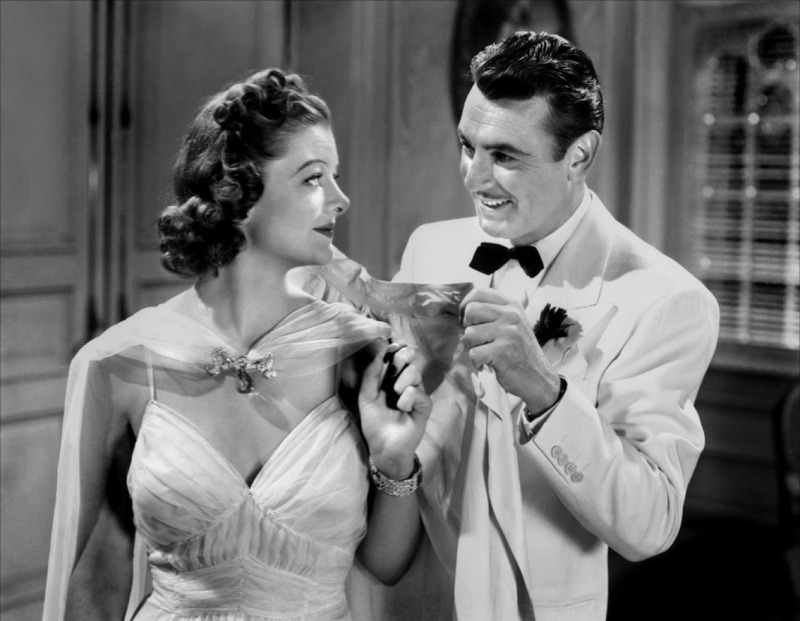 Tom Ransome (George Brent) is an American artist living the lazy expatriate life in the fictional city of Ranchipur, India, where the respected but childless Maharaja (H.B. Warner) and Maharani (Maria Ouspenskaya) throw lavish parties for society's elites. Tom's apathetic routine is disrupted when he meets Fern Simon (Brenda Joyce), the daughter of local missionaries. Fern develops a serious crush, and latches on to Tom as a potential escape route away from her parents. Around the same time, the uppity and bored Lady Edwina Esketh (Myrna Loy) and her insufferable older husband Lord Albert (Nigel Bruce) arrive for a visit. Edwina and Tom were formerly lovers, but although he is willing to resume an affair, she is not as interested. 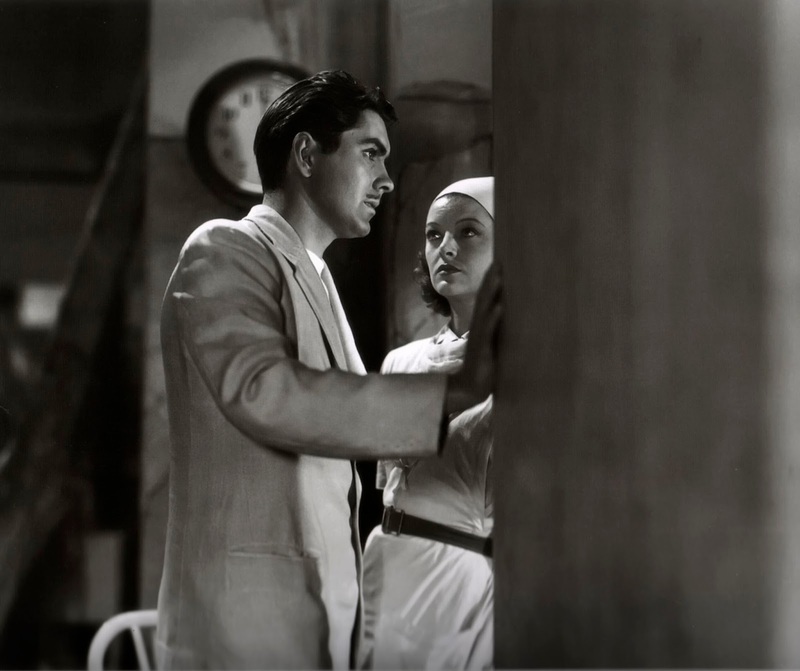 Instead, Edwina sets her sights on Major Rama Safti (Tyrone Power), a distinguished local doctor. Edwina pursues Rama aggressively, but he maintains his distance, not impressed but her haughty airs. With emotions at a fever pitch, the drought of Ranchipur suddenly comes to an end with a period of intense rain. A major earthquake then hits the area, causing a dam to breach and a massively destructive flood. The hospital is overwhelmed, Rama's medical skills are tested to the limit, while Tom, Fern, Edwina have to readjust their priorities in a devastated city. An adaptation of the Louis Bromfield novel and directed by Clarence Brown, The Rains Came is a serious story given lavish treatment. Tom, Fern, Edwina and Rama create a romance-driven foursome with plenty of flaws, passion and varying levels of ambition. Despite plenty of local flavour and an abundance of sights and sounds to evoke India, Brown keeps the focus on his main characters, and the film succeeds in unveiling a grand story through an intimate lens. When the time comes for spectacle, Brown does not hold back. Coming at almost the exact halfway point of the film's 105 minutes, the scenes of rain, then earthquake, then flood are exceptionally good for the era. In convincing fashion, the ground shakes, buildings fall, a dam breaks, and an entire city is devastated, streets turn to rivers, estate grounds turn to mush, and mass panic ensues. The sequence is thrilling as cinema and heartbreaking as unspeakable tragedy. The Rains Came deservedly nabbed the first Special Effects Academy Award, beating out the likes of Gone With The Wind and The Wizard Of Oz. The natural disaster creates a massive inflection point. Caught in an isolated disaster zone, Tom, Fern, Edwina and Rama have to deal with a new reality, and the decisions they now have to make will change the trajectories of their lives. New bonds will form, self-discoveries made, and destinies confronted. The wise and wily Maharani keeps a watchful eye, taking a broader view than just personal interest, influencing events from a distance but influencing them nevertheless. The performances are solid, with Myrna Loy particularly notable in an against-type role as she guides Lady Esketh on a journey from rich, privileged and spoiled to a woman seeing the world through the eyes of love, perhaps for the very first time. George Brent is appropriately caustic in a Clark Gable-type incarnation. Maria Ouspenskaya is a revelation as the crafty Maharani. Tyrone Power and Brenda Joyce are also good, but perhaps more stock. Henry Travers and Jane Darwell appear in smallish supporting roles. There are some missteps in the movie. The romantic entanglements tend to overwhelm the film at the expense of other developments, and some of the dramatic romance elements veer into weepy melodrama, with a few too many scenes emphasizing longing and desperation. Fern is a bit too brash, while Lord Albert Esketh is milked for some mild buffoonery and then cast aside too easily. While the portrayals of the Maharani and Rama are dignified and there is some talk about a better future for India led by Indians, all the other local characters disappear to the background. But overall, there is plenty to enjoy, and four characters to care for. When cholera sweeps through the destroyed Ranchipur, death comes calling with renewed vigour within the hospital walls, bringing a new urgency to unresolved relationships. Rama is a man of his people, Tom, Fern and Edwina are strangers in a friendly land, and all will come to terms with love, life and the winds of change emanating from a ravaged city.